Application deadline: 30 June 2019 (Before 1 July). However, we advise you to apply before 1 May. If you apply prior to 2 May, you meet the admission requirements, and complete the matching trajectory prior to August 1, you will be admitted to the programme. Irrespective of your study advice. Do you have broad interests and are you a critical thinker? Do you enjoy discussing current social issues? Do you want to understand their historical roots and engage in philosophical reflection? If so, the bachelor's programme in Arts and Culture is the right choice for you. You will learn to understand Western culture by looking at how it shapes and is shaped by art, science, technology, media and politics. You will explore the issues of modern society from a variety of perspectives. This interdisciplinary approach (based on philosophy, literature and art studies, history, and science and technology studies) will teach you to understand and frame complex social issues. You will learn to think analytically, make connections across a variety of perspectives and develop strong argumentation skills. This will make you an attractive employee in a variety of jobs. Arts and Culture graduates work, for instance, as consultants for cultural institutions, policy advisors for governments, journalists and researchers. However, most graduates will opt for a master's degree before they enter the job market. Which qualities will help you achieve this? The bachelor's programme in Arts and Culture is characterised by a strong logic and courses systematically build upon one another. It is divided into an elementary phase and a graduation phase, which each take one and a half years. The elementary phase has a chronological setup, starting from Antiquity and ending in the early 21st century. In this phase, you'll gain a profound knowledge of the historical roots of modern society and culture. The programme has a strong emphasis on helping you develop research and writing skills. An important element of the programme is a learning trajectory in which you write increasingly longer and more complex papers. This culminates in writing your bachelor's thesis in your third year. The Arts & Culture programme gives you the chance to broaden and deepen your knowledge by choosing two out of six electives. In the beginning of the third year, you will have an elective semester in which you can do an internship or study abroad. 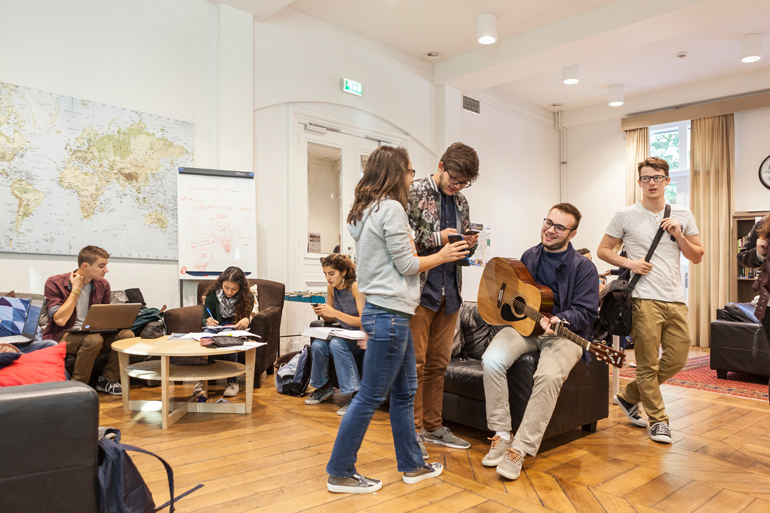 You can also follow a minor or choose to take courses at another faculty, other university, the Maastricht Academy of Fine Arts and Design or the Maastricht Academy of Music. With a bachelor's degree in Arts & Culture, there are a number of programmes at Maastricht University that you can follow.